Primary and Inspection covers are Custom CNC machined from high strength, 6061-T6 aircraft grade billet aluminum. 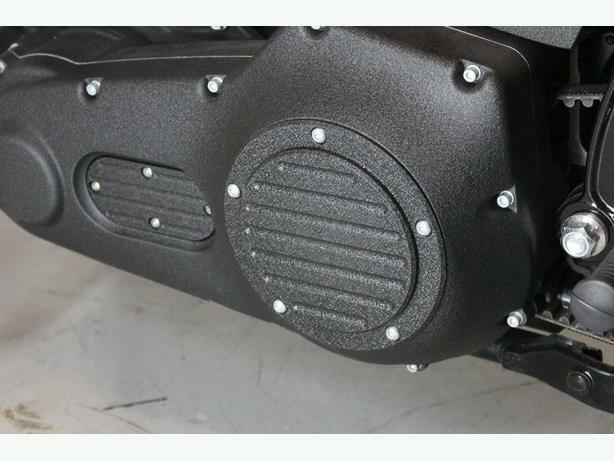 Finished with a durable powder coat finish that will add class and style to your Harley Davidson motorcycle. For our "Eclipse" series, we machine custom designs into the aluminum before painting for that discreet look. 1999-Newer Twin Cam Bikes - all models of Dyna, Softail and Touring.